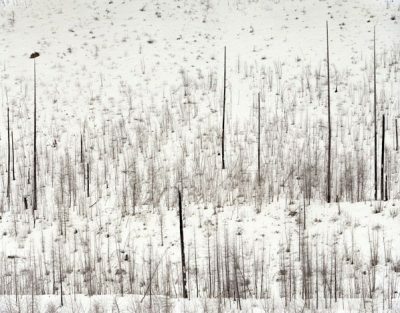 The exhibition will open on Thursday, February 3rd with a reception from 6 p.m. to 8 p.m.
Sasha Wolf Gallery, in association with Kris Graves Projects, is proud to announce the first solo exhibition by David Nadel. 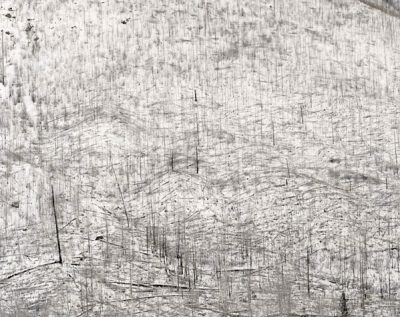 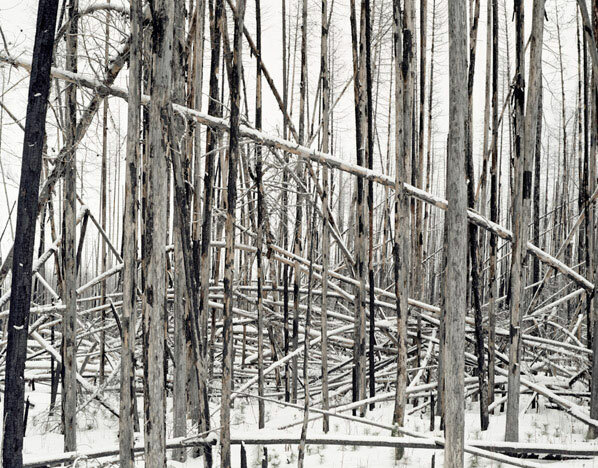 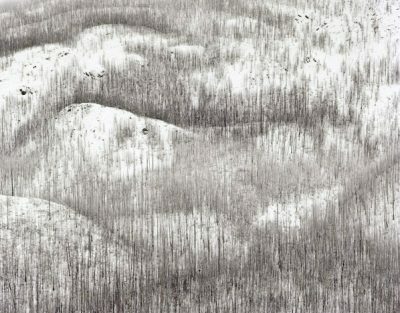 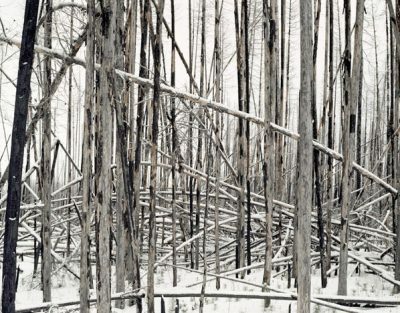 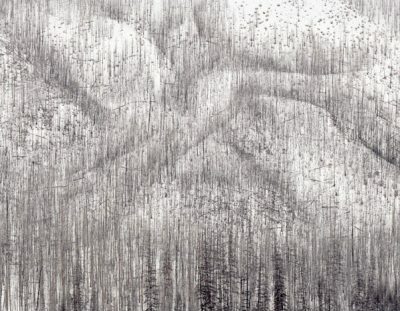 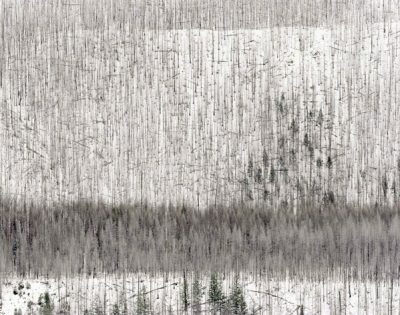 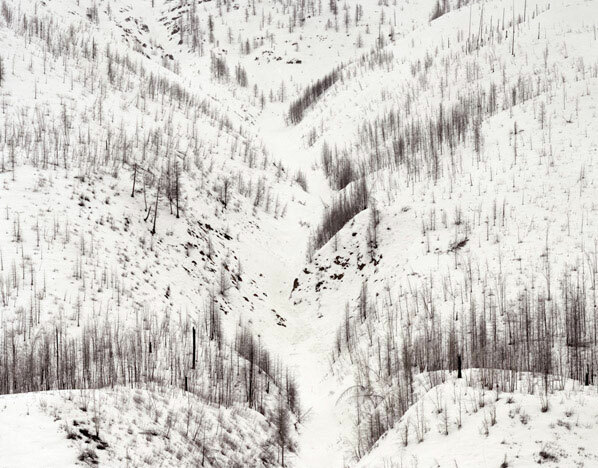 David Nadel has spent much of the last four winters photographing the remains of burned down forests in Northwest Montana from the Swan to the Apgar and Whitefish ranges. 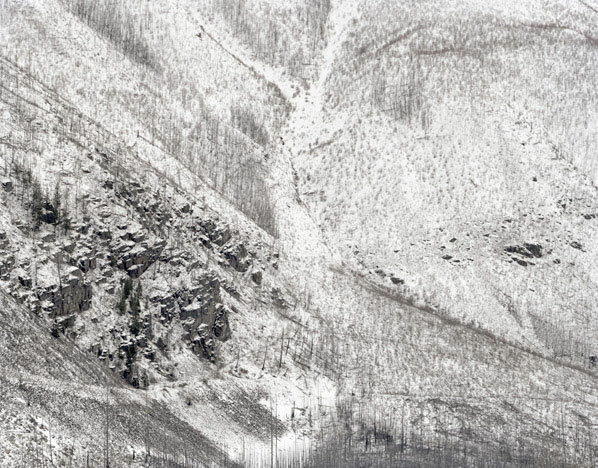 While hiking up mountains and wandering through trail-less terrain, with his large format camera in tow, Nadel has created a lonely and haunting body of work. 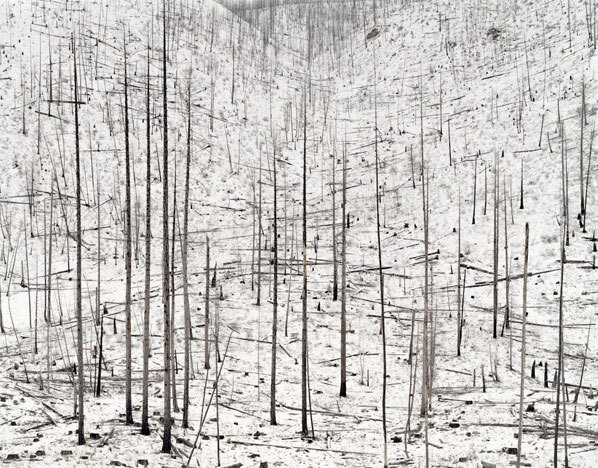 Where a dense, green, classically beautiful forest landscape once existed all that is left, post wildfires, are the stark and devastated monument-like remains. 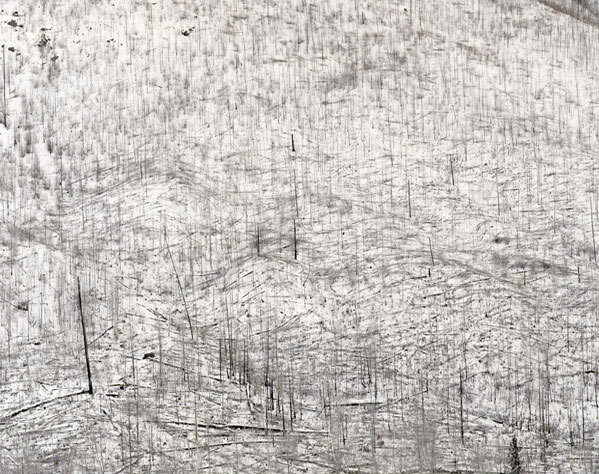 Nadel is drawn to this panorama where no one part of the scene is the clear point of focus and the viewer is asked to surrender to the entire tableau. 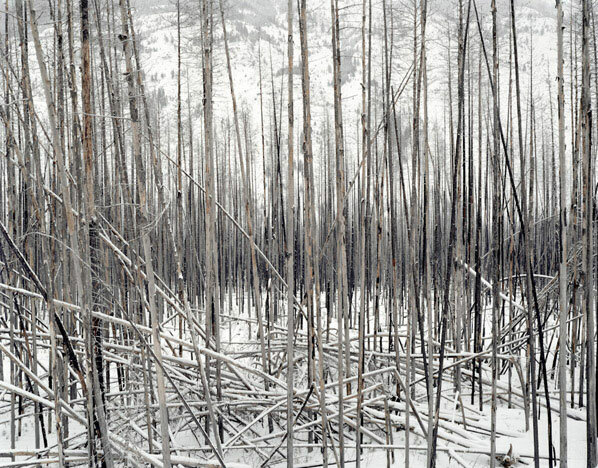 Although shooting in color, many of these photographs present, on first look, as black and white images and in some cases, as pencil or charcoal drawings. 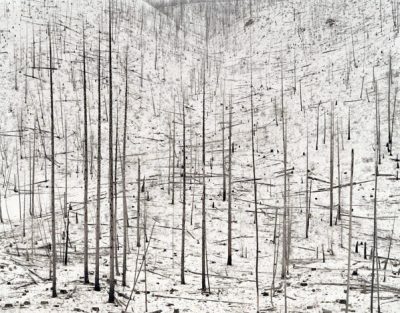 This is not an attempt at neo-pictorialism, Nadel is not trying to obscure the cameraʼs ability to render detail, quite the contrary, itʼs just that the actual scenes themselves are very bare and extremely graphic; the blackened trees jut out of the white ground like so many black vertical lines and the shadows add their own illustrative elements. 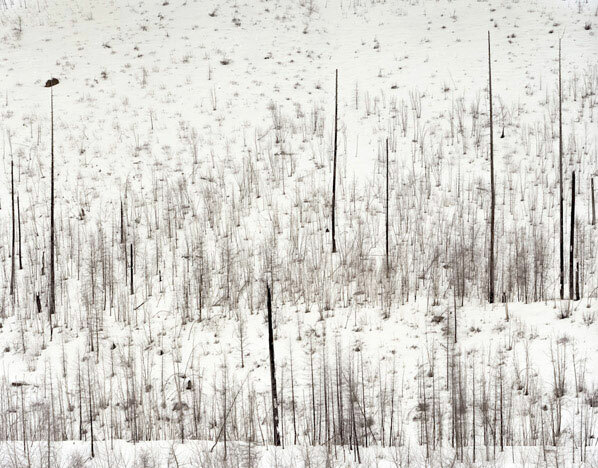 David Nadel was born in Massachusetts, and holds a BFA from Purchase College in visual arts. 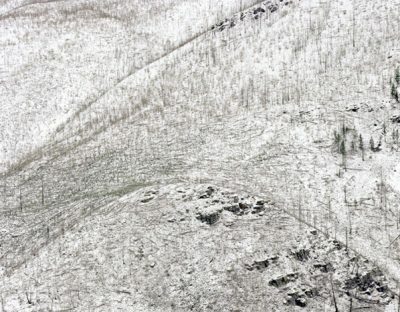 His work has been exhibited at the Soho Photo Gallery, PIP Pingyap Int’l Photography Festival, and +Kris Graves Projects. 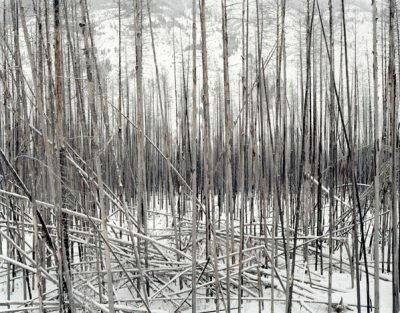 He currently lives and photographs in Montana.